Home / Latest News / Limited Edition!! World-renowned nuBest salon and spa is pleased to introduce the nuBest Twin Turbo Hair Dryer. The nuBest Twin Turbo is an essential beauty tool that has taken years for Michael Mazzei and his professional team of stylists to perfect. The nuBest Twin Turbo combines high performance and durability making it one of the most powerful professional hair dryers available. The nuBest Twin Turbo is lightweight for easier use, offers a range of temperature settings and speeds for styling versatility and has a removable filter. It also comes with two nozzles; one to blow waves and one for simple blow-drying. The nuBest Twin Turbo is made in Italy and lasts over 2000 hours. A client would have to purchase 4 to 5 generic dryers just to match the nuBest Twin Turbo dryer. 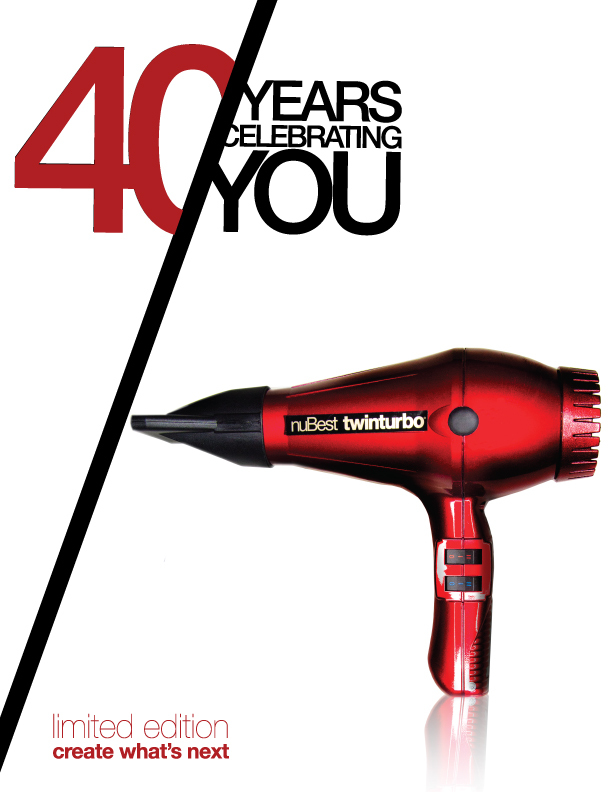 Just stop by nuBest to purchase your own limited edition nuBest Twin Turbo hair dryer!